The practice of Vastu Shastra has an impact on the success and productivity levels of any kind of businesses. Everything from where desks are positioned to the type of lighting used is considered necessary, according to the vastu experts. How can Vastu Shastra help my business? The goal of the vastu is to enhance the productive area and to minimize the adverse effects of certain areas In case of Business vastu, most important are the entrances to the building and offices, the sales and marketing areas, conference room as well as master place. By promoting good vibrations in these areas, business owners can avoid making mistakes that can lead to the failure of the business. Simple manipulation of the business space can lead to higher productivity levels and greater prosperity. When considering to set up a new business or an expansion of a business or renovating a present space, the practice of vastu shastra should be taken into consideration. It is vital for business owners to create a sense of harmony and balance and to encourage clients to want to come back time and time again. An experienced practitioner of vastu can guide business owners when they are searching for a good location or relocate their business. Once a site is finalized, the vastu expert can determine the building’s unique orientation by analyzing the environment, both from the inside and outside. He can make recommendations on whether the building would be a smart choice, and if it is, how best to get from the site. Great balancing can be made with five natural elements of vastu shastra to create an environment that is in line with the universe. A business place that is located near the base of a hill with elevated land on the south & west side and facing open land at North & East is considered to bring excellent prosperity & good fortune. It is best to avoid having premises with a hill at north or east & water at south and west. The ideal scenario would be to face a river or pond at north or east. A small business or offices can place artificial water features in the northeast area. The main door allows entry to good energy……….bad energy if we are not careful. Indeed, much care has to be given while planning the main door. It is very much important that the door has nothing in direct alignment like a tree, telephone or electric pole etc. which is can create a frequent obstacle for business to prosper. The path leading to the front door should be spacious and well lit. 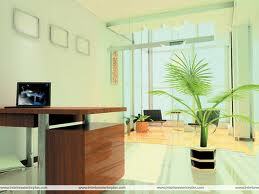 Placing a leaved plants two sides near the door is also helps in purifying the energy coming in. Let go of any objects in your main door area that are not really needed there, such as the dustbins in view, dried plants, old unused pots, etc. Good business vastu arrangement is a must for business to prosper.